There’s an important event coming to Lake D’Arbonne on Saturday, Sept. 26. It’s the LDWF Agent Scott Bullitt Benefit Big Bass tournament. Agent Bullitt was seriously injured when he was shot in the line of duty in May. 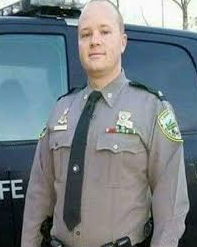 Not only is he a veteran enforcement agent who protects and serves, he is also an avid outdoorsman and conservationist. I know there are a lot of benefit events and they are all important. If you are a fisherman or do anything in the outdoors, this one should be special. Expect people from all over Louisiana and surrounding states to come to this one — which will be great for him and for Lake D’Arbonne. This tournament, sponsored by the Louisiana Wildlife Agents Association on being put on by a group of volunteers in our area, is to help raise money to help him and his family with medical and other expenses. If you bass fish, consider entering this event. Plans are still in the early stages, but here’s the deal.